In fact, there is even a popular Russian song from the band Akvarium celebrating the famous First Growth from Pauillac with the lyrics, “Sometimes you travel by train and drink Château Lafite Rothschild straight from the bottle. There are urban legends like this; “So my lads and me took a bottle of Petrus, but didn’t like it, thought it sour and gave it to the girls to make mulled wine.” Is wine drinking for the wealthy nothing more than a status symbol? Of course not! 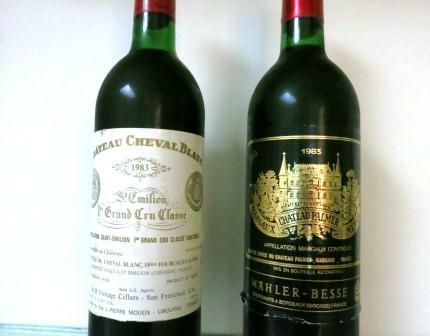 Many collectors know all the Grand Cru wine of Burgundy and the top 1855 Classified Growths of the Medoc, along with the best wines from Pomerol and St. Emilion. The company “Kuban-Vino” was awarded with 10 medals and 11 diplomas at London International Wine Fair. For the third time the company “Kuban-Vino” took part in a major international exhibition «London International Wine Fair» with the wines of TM “Chateau Taman”. This year, the results of participation in the three wine tastings are 10 different medals and 11 diplomas. Firstly were announced the results of «International Wine Challenge-2013″: two silver, two bronze medals and six diplomas (against one silver, one bronze and one diploma in the last year competition). This year the panel of judges honored with silver medals Dessert Traminer “Chateau Tamagne” 2010 and “Madeira of Kuban. Chateau Tamagne Reserve” 1991. Bronze medals were given to the white dry “Chateau Tamagne Reserve. Riesling” 2011 and red sparkling extra brut “Chateau Tamagne Reserve” (limited edition). Six wines, awarded with diplomas are: white semi-dry “Chateau Tamagne. White of Tamagne” 2011, red dry “Krasnostop of Tamagne. Chateau Tamagne” 2011, red semi-dry “Chateau Tamagne. Red of Tamagne” 2011, red dry “Chateau Tamagne Reserve. Saperavi” 2010, white dry “Mer Noire” 2011 and young sparkling white brut “Riesling. Chateau Tamagne” 2012.
International Wine Challenge competition was first held in London in 1984. During the competition three rounds of blind tasting are organized. More than 400 judges from all around the world are taking part in this tastings. Today the competition «International Wine Challenge» is the largest in the world by the number of participants and samples. In «Decanter World Wine Awards» the company received 2 bronze medals. The awarded winers are: “Madeira of Kuban. Chateau Tamagne Reserve” 1991 and young sparkling white brut “Riesling. Chateau Tamagne” 2012. Five diplomas were given to: red dry “Krasnostop of Tamagne. Chateau Tamagne” 2011, red dry “Chateau Tamagne Reserve. Saperavi” 2010, white dry “Chateau Tamagne Reserve. Riesling” 2011, red semi-dry “Chateau Tamagne. Red of Tamagne” 2011 and red sparkling extra brut “Chateau Tamagne Reserve” 2011. In 2012 the bronze medal of «Decanter» magazine was given to only one Russian wine – red dry “Chateau Tamagne Reserve. Saperavi” 2008. «Decanter World Wine Awards» is the largest international wine competition. Its goal is to assess the best wines from all regions around the world through blind testing. The wines are awarded gold, silver and bronze medals or sign «Commended» (approved, recommended). The wines in the competition are evaluated on a 20-point scale by a group of experts under the leadership of Chairman Steven Spurrier. In 2013, experts have tasted a record number of samples (14,362 samples from 52 countries). The jury included 219 experts from 27 countries. Among them, 75 Masters of Wine and another 13 with the title of Master Sommelier. Wine magazine «Decanter» is an internationally recognized publication which is sold in 90 countries and is considered to be the most complete source of advice for wine lovers. Its experts recommend up to 4 thousand wines a year. People trust it because of its independence and authority. This means that consumers and traders around the world use the results of “Decanter” contest in order to get acquainted with the best wines of the world. The results of the contest are always reflected in one edition of the magazine, which informs the international audience of the winning wines. In «International Wine & Spirit Competition» the wines of “Kuban-Vino” were awarded with four bronze medals. This wines are: Dessert Traminer “Chateau Tamagne”, red dry “Krasnostop of Tamagne. Chateau Tamagne” 2012, young sparkling white brut “Riesling. Chateau Tamagne” 2012 and white dry “Chateau Tamagne Reserve. Riesling” 2011. «International Wine & Spirit Competition» is one of the most influential and important spirits competitions. It has been held annually since 1969 and its objectivity is recognized by all the specialists of the alcohol market. The assessment of each country is separate and is held in form of an individual session (blind tasting). The board of six judges are testing 8-10 samples in one set. During this degustation judges only known the grape variety, region / province and vintage. The wines are ranked on a 100-point scale, where 75-79, 9 is a “bronze”, 80-89, 9 – “silver”, 90-100 – “gold”. The best examples in each category are continuing to compete in order to win a trophy. I work in the export department of an Argentinean winery, looking to expand its business in Russia. Would you mind telling me which are the most important red wine varietals consumed in Russia? Many thanks and look forward to hear from you.